Mount Mercy Academy will hold its 22nd annual McAuley Gala on Saturday, April 28. The event, Mount Mercy’s major fundraiser, will be held at the Orchard Park Country Club. This year’s theme is Under the Big Top. The Gala raises money for student scholarships and educational advancements. The evening will begin with passed hors d’oeuvres and an open bar and conclude with a three-course dinner. In addition, there will be a silent auction and a live auction; there will be between 75 and 100 silent auction items, including James Taylor concert tickets, outdoor entertainment packages (patio heater, Weber Natural Gas Grill, Yeti Cooler) and a spa package. 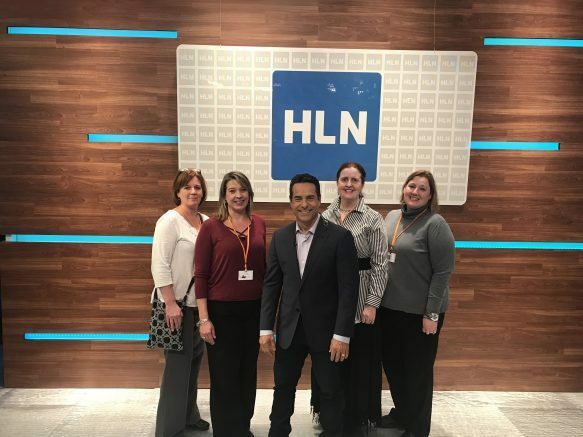 A few of the live auction packages include a visit to a vacation homes in Florida, a tour of CNN World Headquarters, two tickets to the Jimmy Fallon Show and a private tour of NBC studios and an interactive Caribbean dinner. This year the event’s co-chairmen are Rosanne and Thomas Dee and Brian and Wendy Lewandowski. Roseanne Donovan Dee is a 1969 graduate of Mount Mercy and is the founder and president of RT Dee and Associates, a training and human resource consulting firm. Thomas Dee is the president of the Erie Canal Harbor Development Corporation. Wendy Lewandowski is a teacher and coach in the Orchard Park Central School District and Brian Lewandowski is the founder and managing partner of Lewandowski and Associates. They are also the proud parents of Mount Mercy senior Emily Lewandowski. The ringmaster for the evening will be Kevin O’Connell, chief meteorologist at Channel 2 WGRZ. The evening begins with cocktails and the silent auction at 5 p.m., with dinner following at 7:30. The live auction is scheduled to begin at 8:30. Tickets are $150 and may be obtained at www.mtmercy.org or by contacting Liz Redanz at 825-8796, ext. 306 or eredanz@mtmercy.org. Be the first to comment on "Mount Mercy Academy to hold annual McAuley Gala"